Based on rules of the Olympic Charter, the Qualification System aims to ensure that the principles of universality, performance, country, representation and gender equity, remain the focus for the UAEJJF participation. In addition, a number of other technical principles and rules have been established to provide a basis for the development of the UAEJJF Qualification System. The ranking is the most fair way of awarding the effort and the talent of each athlete that signs up to one of the UAEJJF tournaments throughout the year. It is also a great incentive for more and more athletes to take part in as many events as they can. The next pages will explain how the ranking works and the new changes. Have a good read, put on your gi and go out there to add points right away. How does the ranking work and what are the main changes? The ranking period will be in general for 24 months. The Seven (7) best results during next season (12 months’ period) will count + one extra (8th) result from the Continental Pro + the result of Abu Dhabi World Professional Championship, starting from 1st May 2018. From May 1st, 2018 to April 30th, 2019 the points will count 100%. After May 1st, 2019 the points will be reduced to 50%. After May 1st, 2020 the points will be reduced to 0 and not count anymore. The dividing line is the first week of May 2019. Example: If tournament is held in first week of May 2018, the points are reduced to half on the first week on May 2019 and expired in the first week of May 2020. How to add points in the ranking? You add points in the ranking by at least participating in one of the events of the UAEJJF calendar (the current calendar started on May 1, 2018 and ends on April 30, 2019). There are six kinds of events in terms of how many points you'll get: ADWPJJC – 6 stars, Abu Dhabi Grand Slam – 5 stars, Continental Pro – 4 stars, National Pro – 3 stars, International Pro – 2 stars, Regional tournament – 1 star. How many rankings are there? The UAEJJF has divided the ranking in several categories. You can say that the two most important are male adult black belt and female adult brown/black belt. Each belt has its own ranking starting with white belts. You also have a ranking in the male master division, an academy ranking, continental and country rankings. There are also No-Gi rankings. For what else is the ranking used for by the UAEJJF? The Federation will use the ranking to decide your position on the bracket of the ADWPJJC. It will also use the ranking to invite athletes to compete in the ADWPJJC. 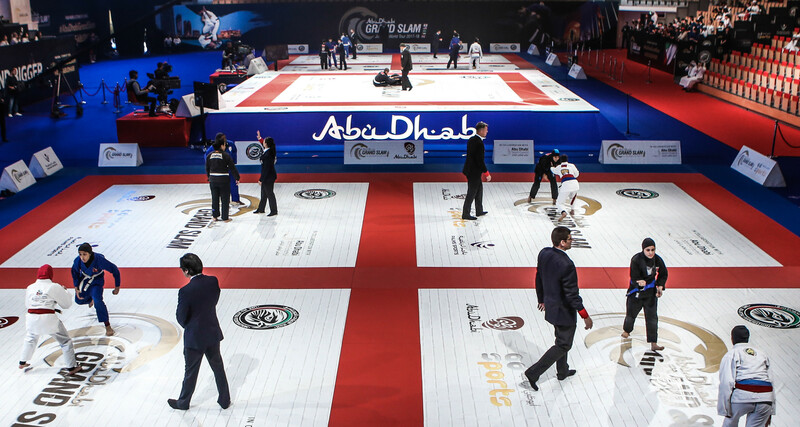 In addition the ranking will be used to select fighters for the new Abu Dhabi King of Mats through Continental Ranking and Abu Dhabi Grand Slam Placements. What are the prizes for ranking leaders? After all the effort, it is natural that ranking leaders at the end of the season receive proper rewards. The tables bellow show the main prizes for both the Gi and No-Gi rankings. The male adult Gi black belt division alone will award US$40,000, while the female Gi brown/black belt division will award US$18,000. That's the same amount reserved for the male adult brown belt ranking leaders and the master 1 male black belt division. What else do you need to know about the ranking? Yes. There are a few details you need to know about the ranking. If you are alone in a division, you won't earn points in the ranking. If you change belts during the season, you lose the points from the previous belt. The same happens if you change age divisions during the calendar. Due to the academies ranking, the UAEJJF will not change an athlete's team during the same season. Another features to be implemented are that athletes will get points for not only placements, but also for each matches won. For example, athletes can get a certain point for a gold medal, but will also earn extra points for each win. So if athletes win a really large bracket that could lead award more points than smaller brackets. On top on that athletes will be awarded even extra points for different type of wins, for example winning by advantage or by submissions. Are there any more novelties in the ranking for the 2018-2019 season? 1. The highest sum of the current points from World Pro. 2. The highest sum of the current points from all Abu Dhabi Grand Slams. 3. The highest sum of the current points from all Continental Pro, followed by National Pro, International Pro and Regional Championships. 4. The highest current points from one single event, then, if needed, the second highest, and so on. 5. If the competitors are still equal the decision will be taken by the number of matches done by the fighter through the season, followed by the fastest submission(s) or who made more points during the matches in case of World Pro Qualification.